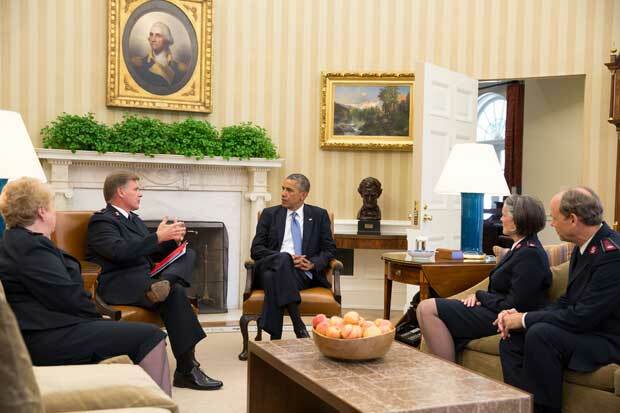 Commissioner David Jeffrey, National Commander of The Salvation Army, met with Senior White House officials and other faith-based leaders at the White House in late October to discuss America’s response to the Ebola outbreak in West Africa. Comprised of representatives from international service organizations, public health and national security teams, the group discussed the challenges faced in providing relief to the three nations battling Ebola – Liberia, Sierra Leone and Guinea – amid tightened regulations from certain states for individuals flying home from service abroad. For the hundreds of Salvation Army employees based in these countries, airline restrictions are limiting the amount of food delivered to aid the affected areas. As a result, food shortages and prices are on the rise. The group also heard from Samaritan’s Purse Medical Missions Director, Dr. Kent Brantly, the Fort Worth doctor who became the first American to contract Ebola in treating patients in West Africa, who spoke about the need for healthcare workers to volunteer to fight the outbreak. In an event after the meeting, the President urged Americans to honor the extraordinary health workers who willingly and courageously serve on the frontlines of the outbreak, warning that the United States “can’t hermetically seal ourselves off” from the rest of the world. “We don’t react to our fears, but instead, we respond with commonsense and skill and courage. That’s the best of our history,” President Obama said. 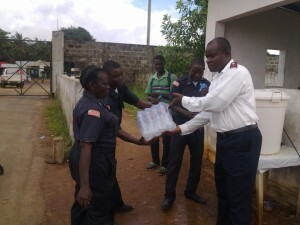 Working alongside the government, international and local agencies, and non-governmental organizations (NGOs), The Salvation Army in Liberia and Sierra Leone is offering food – mostly locally sourced - and water, as well as preventative materials that will kill the virus for residents in the affected communities. 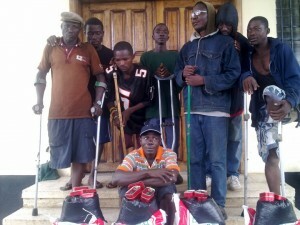 The Salvation Army is also supplying disinfectant, clothing and preventative garments such as sanitizer, gloves, mouth guards and chlorine to the medical practitioners who are tackling the epidemic. A big focus for The Salvation Army rests on vulnerable children, many of whom have been orphaned as a result of the nearly 5,000 deaths thus far, to ensure they are comforted, well nourished and disinfected. When schools reopen in the coming months, The Salvation Army will assist with providing disinfectant, hand washing stations, replacement furniture, counseling and medical supplies. 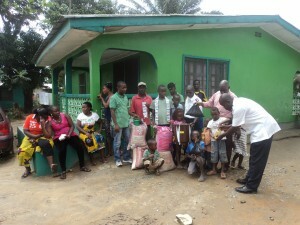 Donations can be made at https://donate.salvationarmyusa.org/sawso/sawso-ebola.